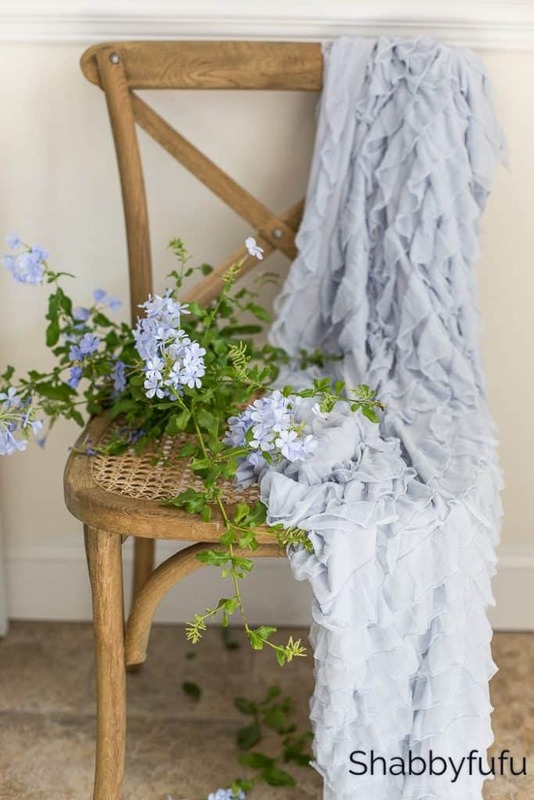 English country cottage decorating is so timeless, romantic and lovely. What comes to mind for you when you dream about the English countryside? Is it thatched roofs and bucolic country roads laced with majestic floral gardens? Do you envision yourself in a rich manor with mahogany furnishings and lots of velvets and tassels? What about pedigreed oil portraits and luxe tapestries hanging alongside bookcases filled with leather bound and gilded books? All of that is pretty formal and for my personal style it would be too stuffy. I think of English Country Style as being relaxed and liveable. A predecssor of the Shabby Chic style with more of a faded look of grandeur than of royal formality. Cozy is king, or queen…with mushy furniture that you sink into and nothing stiff or pretentious. 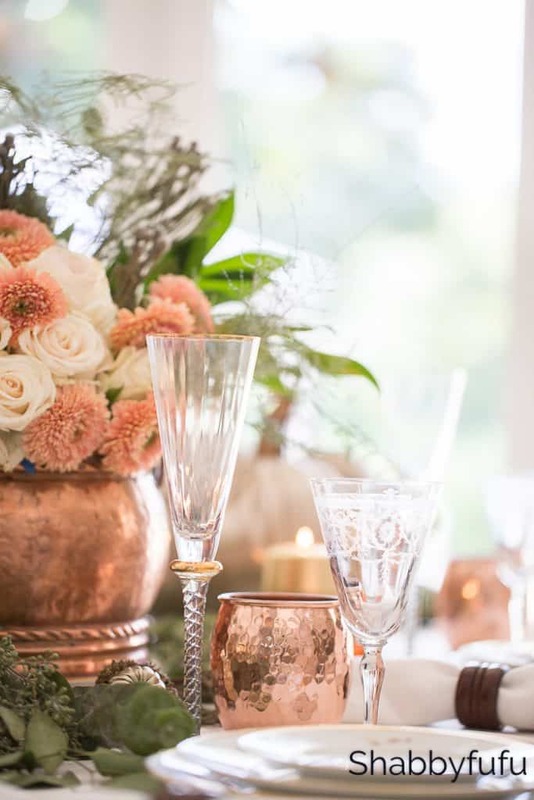 Let’s go for the for the breezy, the casual chic style of English country…and here are a few thoughts on what to include. Cut flowers are everywhere in English country cottage decorating and don’t need to be formally arranged. 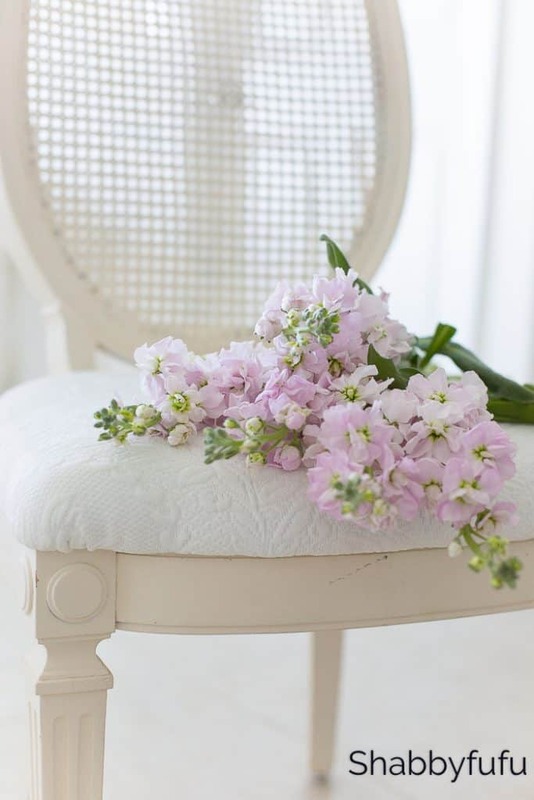 Colors are softly muted and subdued in pale pinks and watered down blues, often with greenery and sunny yellow. 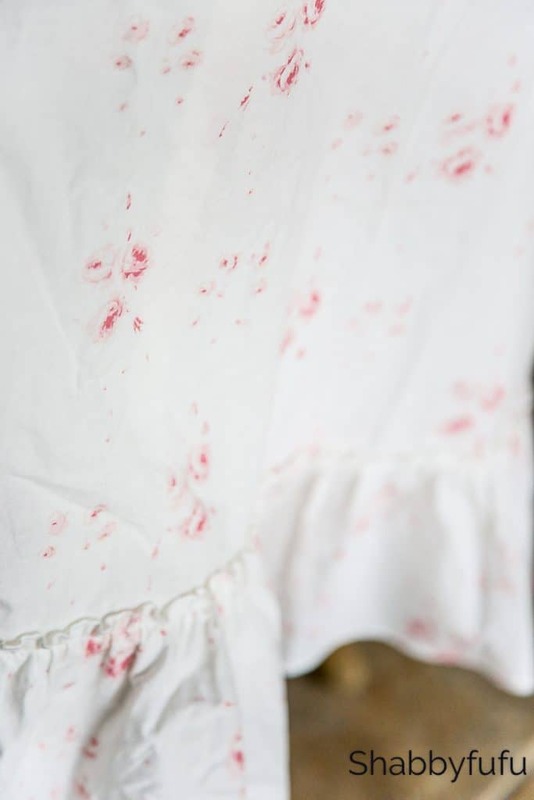 Chintz fabrics along with lace, paisley, ruffles, roses and faded prints. Laura Ashley mini prints and pin stripes on walls or most innocent pastels. 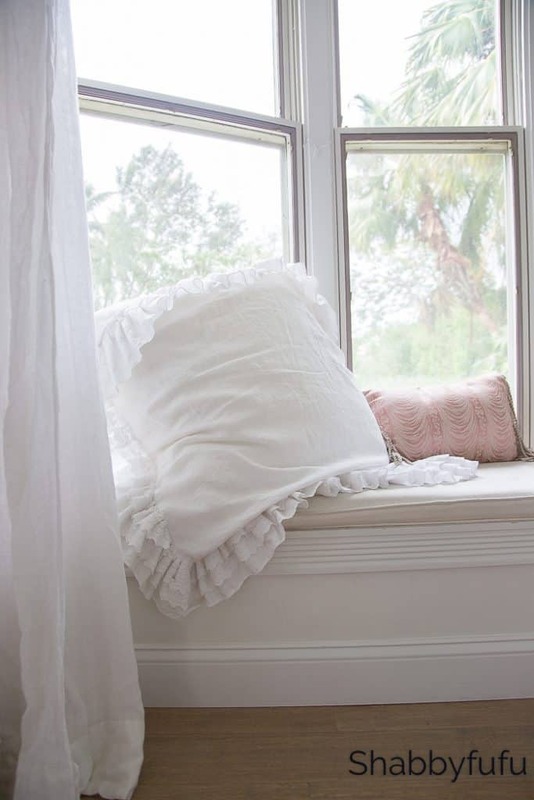 Lots of throw pillows and window seats for dreaming the day away with a good novel. 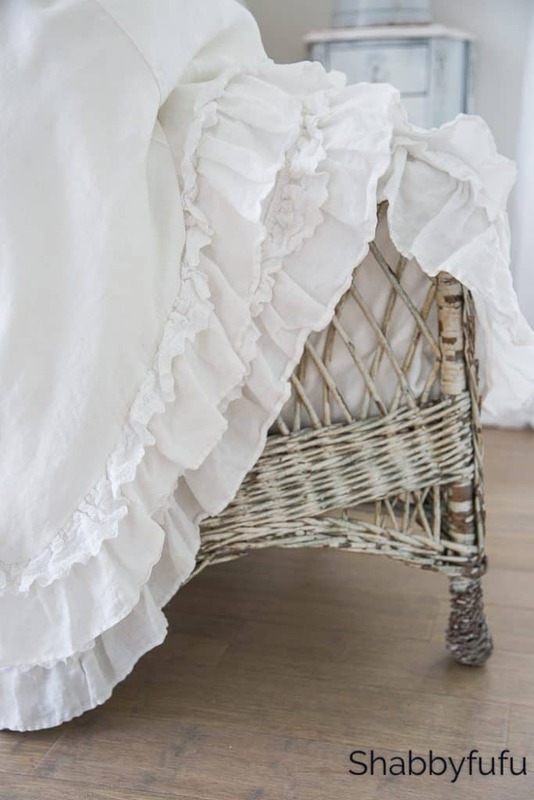 White painted floorboards and eiderdown quilts piled high on a bed. Simple items that reflect the comfort of home with a lived in look. Cottages in England that I love can be found here, some are so lovely that they are used as movie sets. What are YOUR thoughts on this style? Could you live with the softness or do you prefer more formality in your home? For more tips, go the DECORATING TAB ON THE TOP OF THE BLOG. 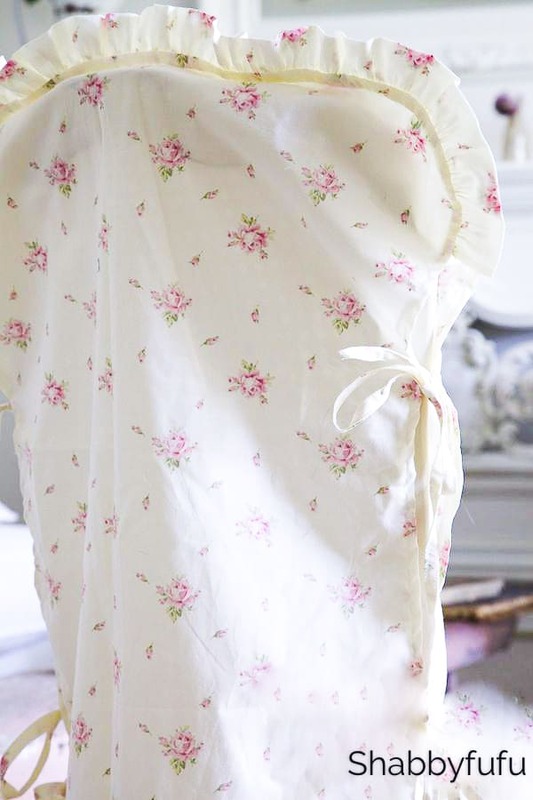 I love anything french country or delicate. I still have many things tucked away from the 80’s. You’ve given me some inspiration to bring somethings out of hiding. First, allow me to say, I am so so sorry to hear about the loss of your mom. I have over 4,000 emails and because I’ve been sick, and not able to spend much time on the net, each day I get father and father behind. I don’t know you, except thought your site, and I did not know your mom, but I truly can feel your loss. Any loss is hard, but it’s nothing like losing a mom that you are very close to. I say this, because when we loss our mom, (though i think of her daily), things did get a little better, because she know longer suffering. I hope your pain is getting a little less painful. Just know she is with The Lord, and you will see again. Hi Ruth, I used to sell them in the shop and discontinued them after several years. I must say that I have always loved the idea of a English Cottage. I also love a bit of formality in some spaces of the home. I love Mahogany furniture, which I have inherited a great deal of it from family members. My dining room set is from a great-aunt who married in 1935, so it is around 80 years old. I have a second china cabinet from her sister, along with various other small pieces, mirrors, and china and glassware. I have a beautiful sheet music cabinet that was from my great-grandparent’s home. I do mix it up with flea market finds, and various collections. I have a huge pink flamingo collection started from many visits to the Bahamas where they also use a lot of Mahogany furniture in the British Colonial style. My moose collection started when I moved to my present location in the White Mountains of NH, where we call our place, Moose Hollow Farm. Your ideas are simply beautiful… I love all your photography & your gorgeous flower ideas! 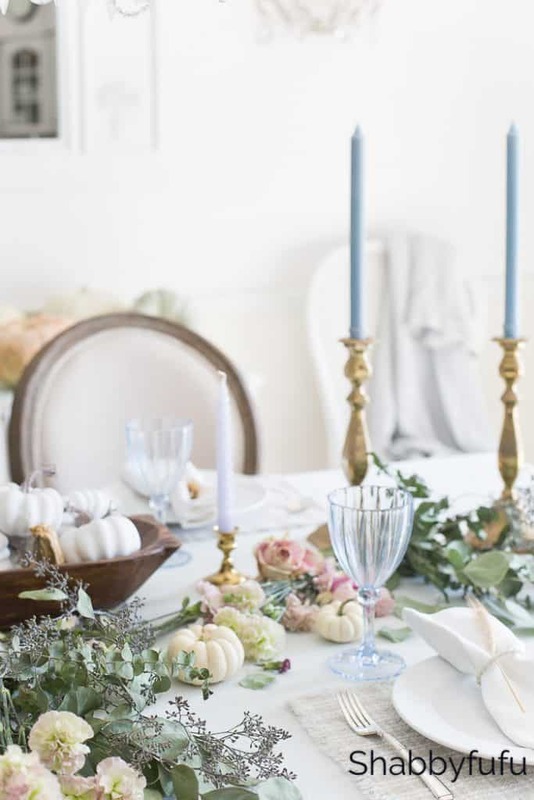 And of course… all of your beautiful tablescapes! Can we have lots more of them? I love your wonderful ideas for making every single day so special & relaxing! Well now this is one of the sweetest comments that I’ve received in awhile Debbie. You made my day! I will keep posting and have something special coming your way tomorrow!